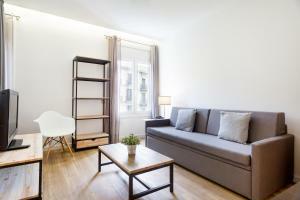 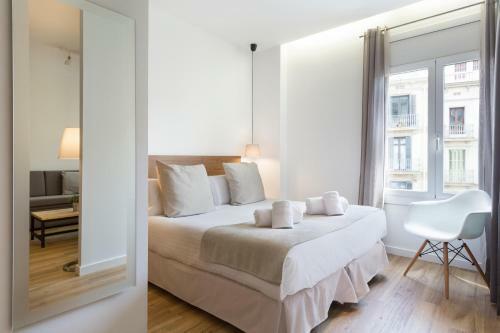 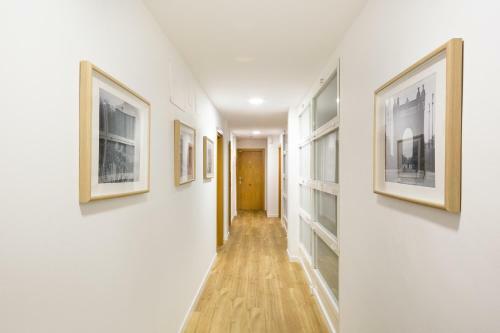 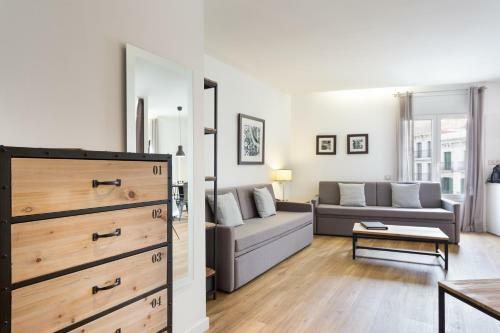 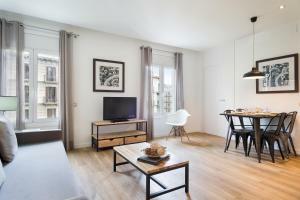 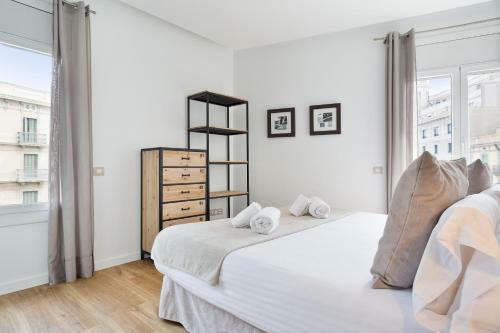 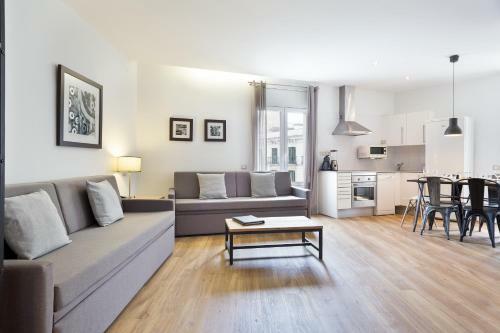 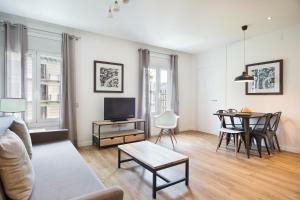 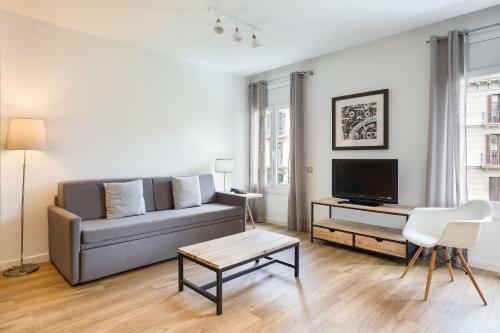 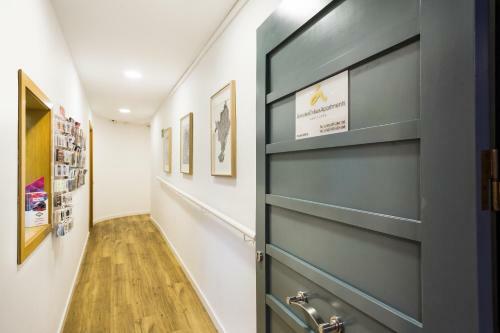 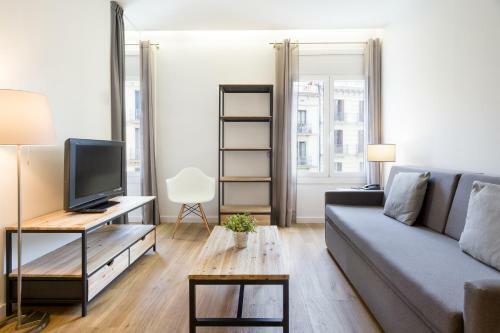 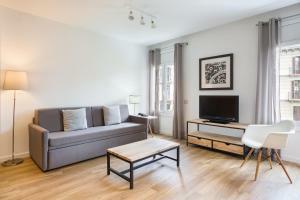 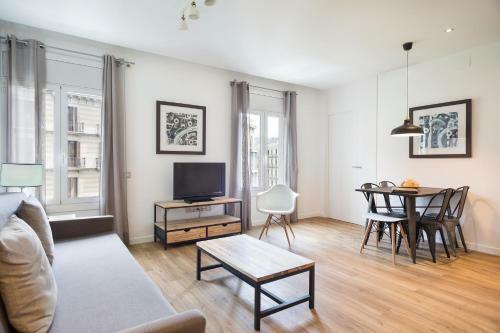 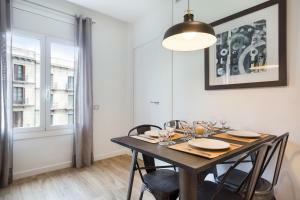 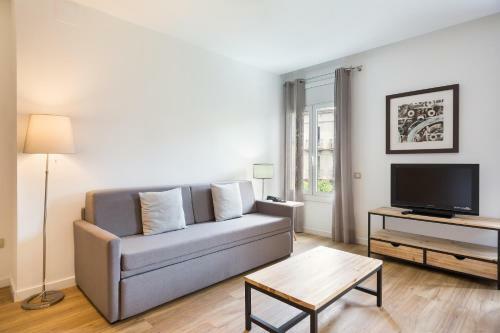 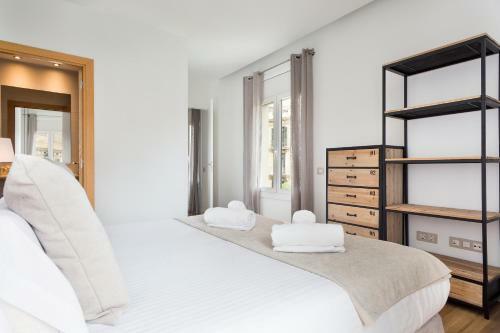 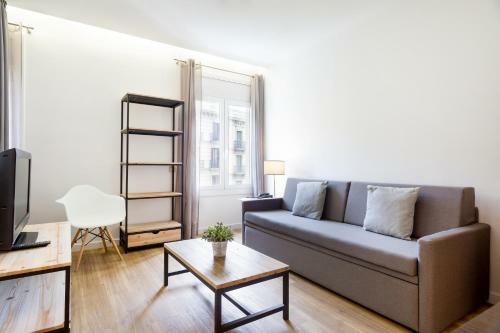 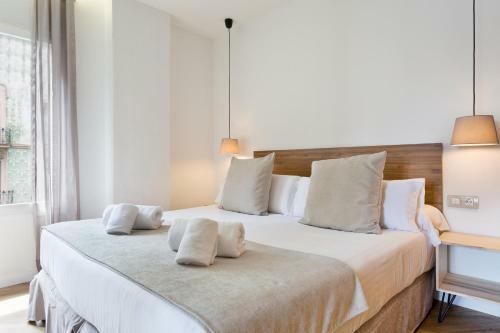 Located in the heart of Barcelona, 300 metres from Plaça Catalunya, Amister Apartments offers 1-bedroom apartments with free WiFi. 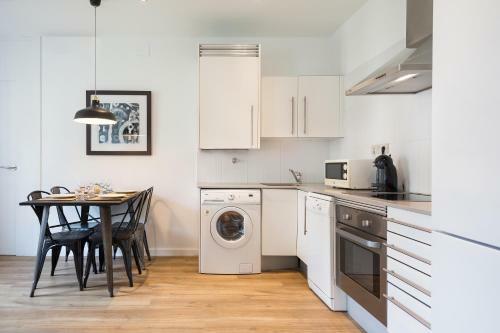 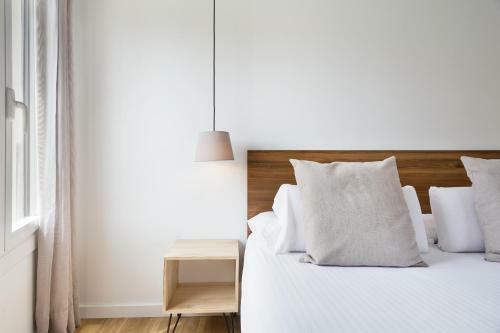 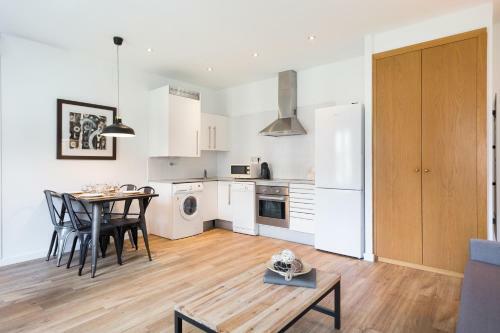 Each apartment at Amister has a fully-equipped kitchen, completed with an oven and a dishwasher, opening onto a living-dining room with a sofa and a flat-screen TV. There is a washing machine and cleaning products are provided. 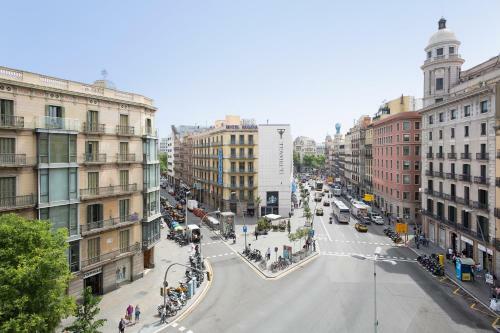 Shops, bars and dining options are in the surrounding streets. 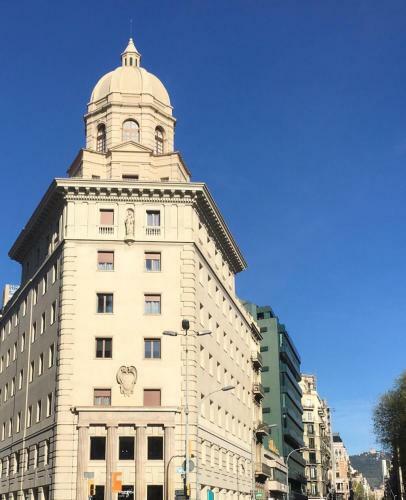 Regular airport buses leave from a bus stop located just 250 metres away. 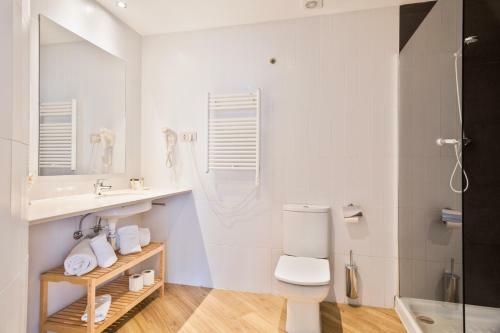 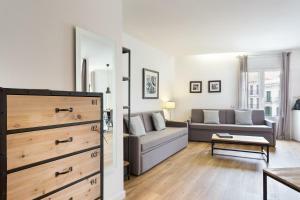 These apartments have a kitchen with oven and microwave, a flat-screen TV and a modern bathroom with large shower. 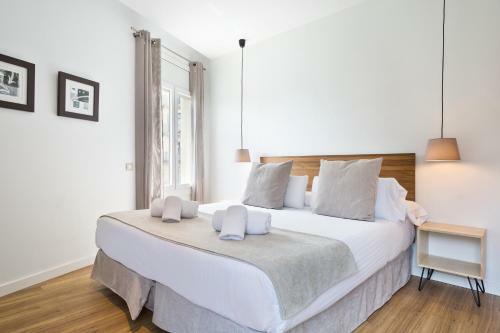 Rate: € 209.00 ... € 231.00; select dates below to get current rates.